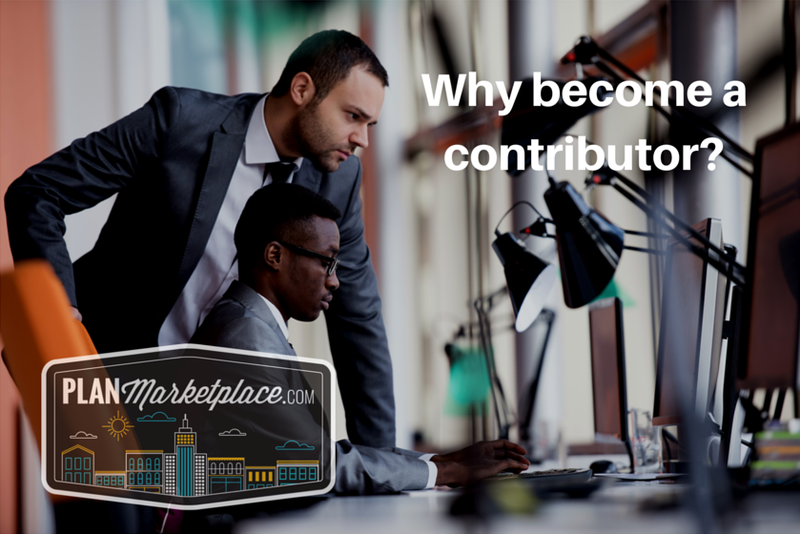 Why become a Contributor at PlanMarketplace? To establish an efficient, effective, successful and profitable design project or business, you have to take advantage of every opportunity and efficiency. Keeping your costs to a minimum, developing time saving strategies, eliminating wasteful or repetitive steps, minimizing mistakes and developing as many sources of revenue from your work are a few important ways to launch your profit. PlanMarketplace is your solution to a very profitable future. Additional Revenue Stream / Passive income! Developing an additional revenue stream can be very difficult especially for a designer, architect or engineer. We are used to being paid by the hour or project. Usually additional revenue only equals more work. When you become a contributor with PlanMarketplace you break that association between revenue and hours worked. PlanMarketplace is the venue for you to market and sell some of your design byproduct. We all have design byproduct. These are the details, drawings, references, blocks, families and other digital tools we have developed to make our job easier and better. Not only can you share, showcase and market the digital tools on our site for free, but people WANT TO BUY THEM from you! They need that Revfit family you developed for your type of engineering practice. They need that CAD detail of the retaining wall. They need that CAD block library. They need it and will pay you for it. You do good work. Don’t let it go unused, or unappreciated. This is a tragedy that we would like to put an end to. If you can produce quality work, you should be recognized for that quality. Instead of gathering digital dust and going unused, or being used on a single occasion, why not have your designs out there, where people can see them, and discover you in the process. Your uploaded files can be sold over and over, skyrocketing your profit. To keep your costs to a minimum, you can become a contributor on PlanMarketplace. It’s absolutely free and it always will be. Contributors also have a unique advantage in that they are part of a diverse and resourceful online community. When your details are showcased on PlanMarketplace, they are viewed and reviewed by other designers in your line of work as well as other building related professionals that can offer a unique perspective on your files and add value to them. Committed Contributors also receive behind the scene information from PlanMarketplace, such as what is the most requested category?, what are the top 5 searches on PlanMarketplace? Who is the top producing contributor? PlanMarketplace gets maximum online exposure for you and your files, leading to more and more sales. Getting paid has never been easier. So take a few moments to become a seller, upload and post your files, collect money on an ongoing basis. There’s no better time than the present! Why not create a free sellers account with PlanMarketplace and begin to benefit from passive and recurring income by selling your details online. Creating an account is easy, payments are simple to receive and can be made directly to your account in absolute safety with our PayPal integration. If you have questions, check out our FAQs, or become a contributor today!